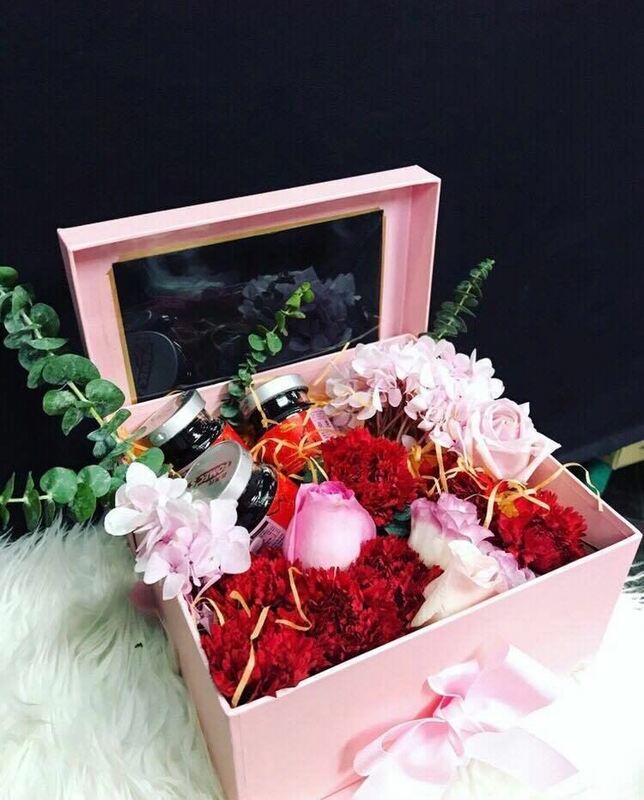 Beauty Bouquet Florist `N`Gifts - We are specialize in hand bouquet, wedding bouquet, graduation bouquet, chocolate bouquet, hydrangea bouquet, fruits & flowers basket, valentine flower & gifts, flower arrangement, hamper & gifts, big bouquet, opening flower stand, and condolence flower stand. One of the easiest things that we can do to thanks someone which is giving a gift. At here we can help you to fulfill your needs. Our company Beauty Bouquet Florist 'N' Gifts is a one stop center that can deliver your pretty gift to your beloved. Due to our 10 years of experiences, we have done our best to help many senders passing the message to their lover. Hence, flowers are the best way expresses your feelings and cares to your family or even your friends. Our products are also selling in reasonable prices. Our aim is wishing our sender can enjoy their happy moment with their love one. Clients are our most important assets, therefore we pay utmost attention in customer satisfaction. We are ever ready in providing practical solutions for every challenge. When it comes to customer services, our staffs have been trained to provide effective guidance throughout the entire process from initial consultation to the products. We also guarantee to give the best quality product to our customers. welcome to leave your order in here, we are ready for your feedback. We provides delivery service by our despatch boy and same day delivery service available for orders before 2.00pm. (may not applicable on public holidays and certain peak season.) Please provide us the delivery date and time during orders. Delivery time range from 9.00am to 9.55pm. For delivery time from 10.00pm, extra charges will be applicable accordingly. Cash on delivery is available upon request. If unfortunately you may have received the wrong order please give us a call immediately at 012-2875559. If you would like to cancel the order, please contact us as soon as possible. If the order is been delivered, you are not allowed to cancel and no refund will be given. The refund amount will be 70% of the total if cancellation is made 24 hours prior to the delivery time. For the refund process usually takes 1 to 2 weeks but sometimes it may take bit longer. We do not have return service and please understand that there is no 100% perfect for real flowers. However, you may send us the photo of the order and we will investigate accordingly if you would like to return the order (terms and conditions applied). 13, Jalan Perdana 4/5, Pandan Perdana, 55300 Kuala Lumpur, Malaysia.